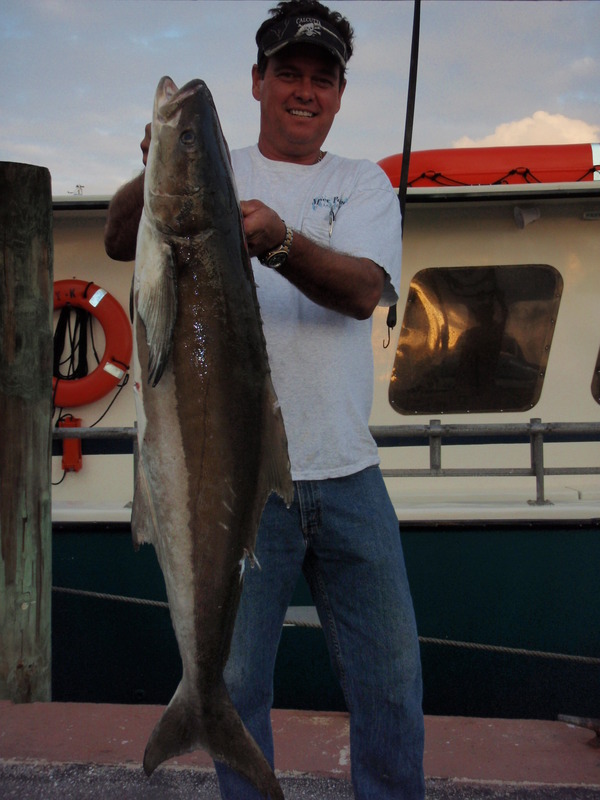 Some nice Cobia have been coming aboard the this week like the 28 pound fish VIP angler Robert is holding up. The fish just narrowly missed becoming a shark dinner unlike Rob’s second Cobia. Nice catch Rob, glad you had a wonderful trip! 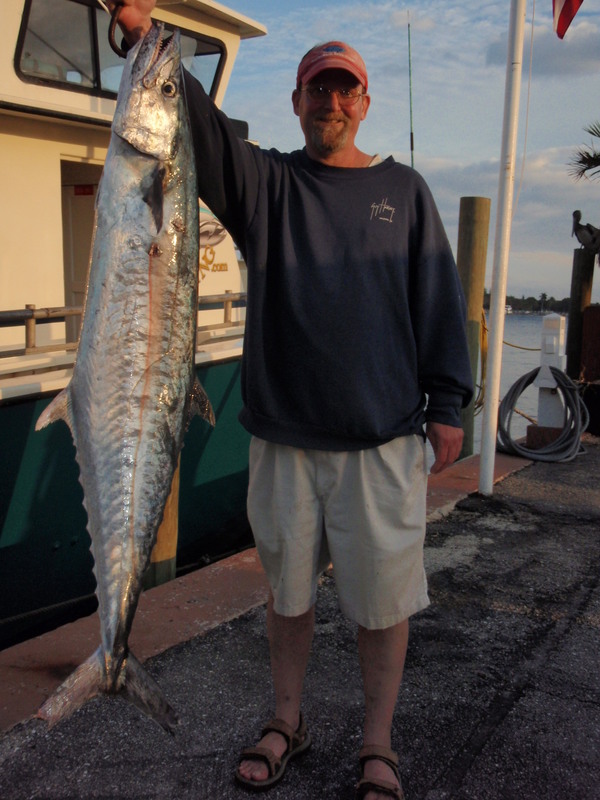 King Mackerel are still coming through the area. 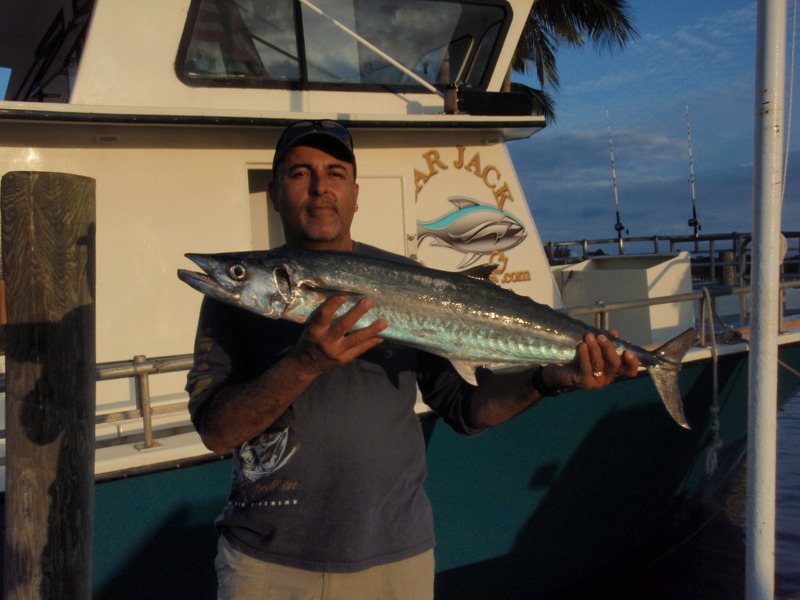 Although many of the fish are too small to keep, there are few mackerel in the 15 to 25 pound class range being caught. The fish above was a 44 pound “smoker” caught during an afternoon trip on Wednesday. As the fish was being cleaned at the table, a smaller King Mackerel of 4 pounds was found inside the gullet of the beast. 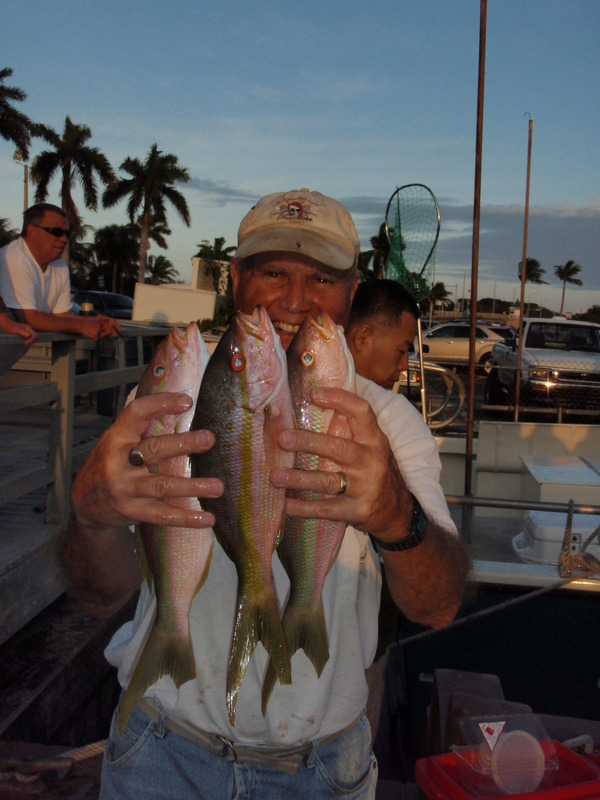 Columnist Manny Luftglass displays some of the nice Yellow-tail Snapper that have been coming aboard the Lady K this week during both day-time trips. Many of the fish have been averaging between 1 1/2 to 2 pounds although larger fish to 4 pounds have been caught by anglers fishing higher up in the water column. Manny caught his fish using a bottom rig and cut squid. Mutton snapper to 5 pounds are being caught by anglers spooling the bottom. 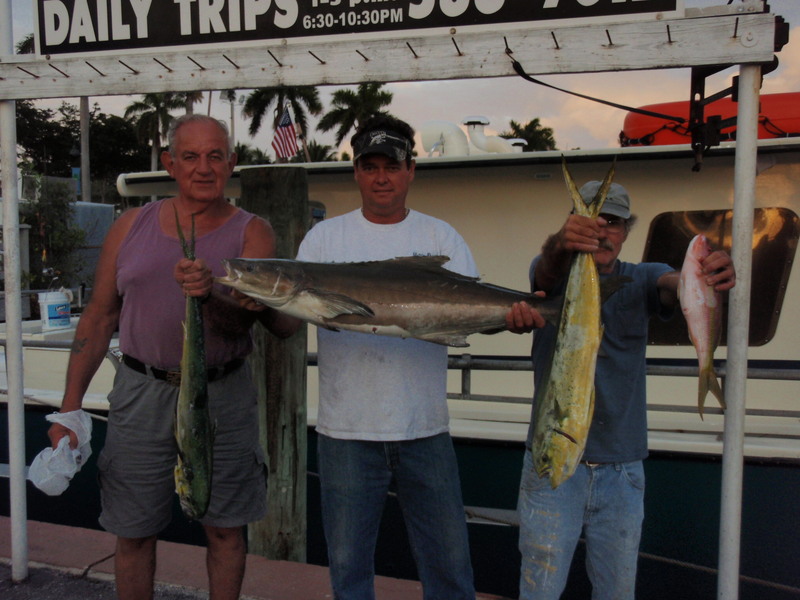 Mahi Mahi have also been caught this week under overcast skies and 2 – 4 foot seas on both morning and afternoon trips. The fish have been swimming by themselves for the most part and are being caught by anglers using knocker rigs and sardines. Don’t let the weatherman scare you away. The overcast conditions and lightly scattered showers have had the fish chewing throughout the week with light to moderate numbers of anglers. Stay up to date and check back with us for more news and updates. Thank you for making Bar Jack Fishing your premiere choice for affordable deep-sea drift fishing. Tight lines!